Safe, clean drinking water changes everything! Almost 1 Billion people in the world lack access to safe drinking water, that’s one out of every eight of us (WHO/UNICEF). Safe, clean drinking water changes everything! It breaks the cycle of poverty and it changes lives. It gives hope where there wasn’t any! This month your Mission Team has chosen Clean Water Ministry as the special mission project. We want to save lives, by providing safe drinking water to impoverished people around the world. You can find out more about this mission at water4lifeministry.org. Mark 9:41…For whoever shall give you a cup of water to drink in my name, because you belong to Christ, truly I say to you, he shall not lose his reward. 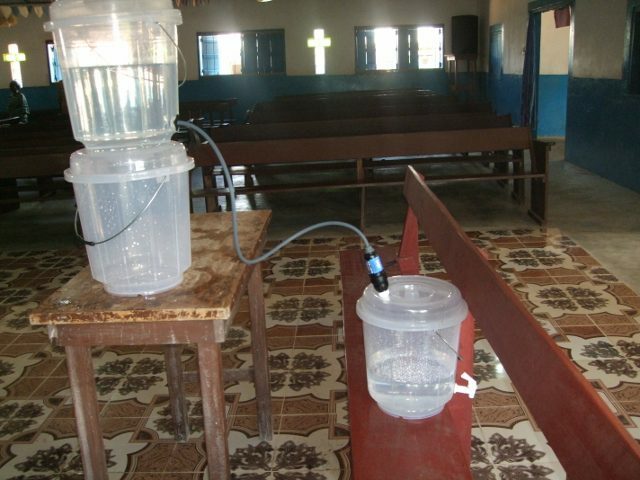 You can join this mission by purchasing a water filter, combine dollars with friends to purchase a water filter for $50, tell others about this mission project, and always pray, we can make a difference is some one’s life. There is no reason any child should suffer and die in the world from lack of safe, clean drinking water. Please join us to save the little forgotten ones in the world. Effective December 2016, this project is no longer actively seeking support, but is superseded by the Clean Water Project-Liberia. In February, we sent 20 filter to Costa Rica with Valley View Church Mission. 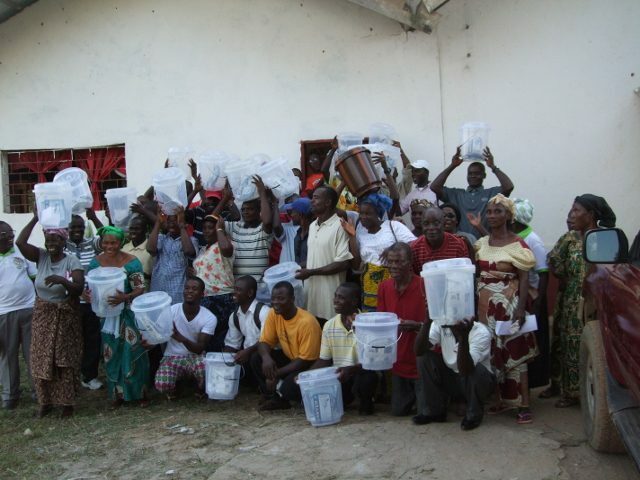 In March, we sent 65 filters to Liberia with Paavo Pyykkonen. See the photos of this trip. Our Clean Water project has taken on a life of its own. With your contributions, we have been able to purchase 184 Sawyer water filters to date. In February, we sent 20 filter to Costa Rica with Valley View Church Mission. 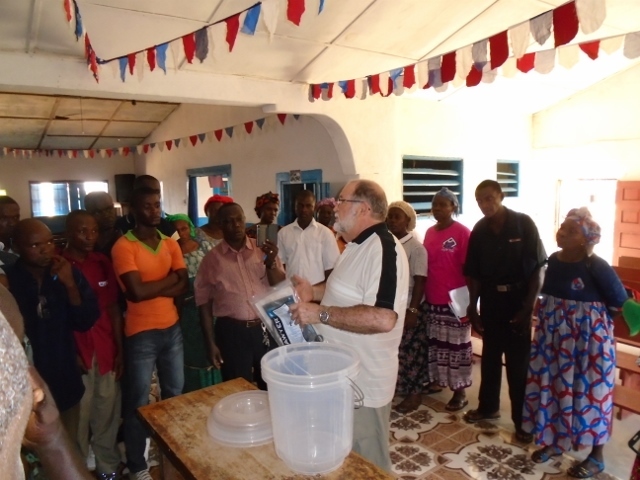 In March, we sent 65 filters to Liberia with Paavo Pyykkonen.